Why Do You Need Website SEO Services? 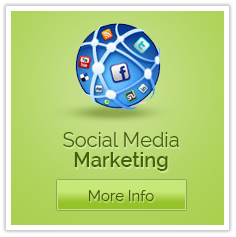 Web Seo Pros is a Portland SEO company providing Search Engine Optimization (SEO). We are best known for employing 4 of the top SEO authors in the industry. Mike Monahan, Jason McCormick, and now Sean Farrell. Consistently we have brought websites that were invisible on the Internet to stand out and be noticed. Without fail we have increased our clients search engine rankings regardless of the competition in their industry and with diregard to the competitiveness of their targeted keywords. Web Seo Pros can strategically improve your websites rankings and standings on the Internet. It looks like we’re continuing in an economic down turn. Our clients on page 1 are not seeing a dramatic decrease in their sales. In fact several have said they are doing better in this economy than they were before. One of our clients, “AutoTransportExperts.com” recently sent us a letter that said, “If your services were $1,000 per hour it would be worth it.” His return of investment (ROI) has been that much. How do I get the best results for every dollar and keep up with my competition? Two terms come up that you as a business owner need to know. 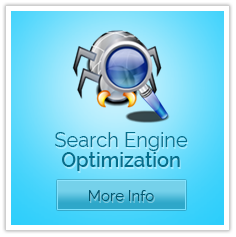 Search Engine Optimization (SEO) and Search Engine Marketing (SEM). Everyone who has a business wants their business to come up number one on every web search for every key word they can think of. Most businesses think it costs a mint to make their website even fall on the first or second page. This is not true. Boost your site traffic and keyword numbers. Fact 1 – SEO is an ongoing process! Optimizing your website is a process that can never stop. Google bases your website rankings on many different items. 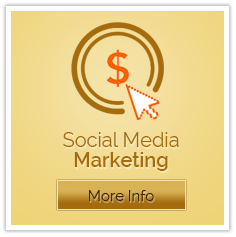 Including links building, social media, page optimization, etc. It is a constantly moving target and a process that needs almost constant attention. A brand new website can take Google and the other search engines anywhere from five weeks to three months find your website, index it in to their database, and begin to earn a place in their search results. Then once your site is up and running, boosting your PageRank (the scale that Google uses to determine the importance of your site and therefore where it ranks in searches) takes time and effort – updating keywords, writing new content and organizing links are all time-consuming, and then you have to wait for Google to find your changes. So be patient. You need to use keywords throughout your site so it gets listed in the search engine results when a consumer or business conducts a search using those words. Therefore, you need to know what words your target audience is searching for so you can use them in your content. This is called keyword research – first you brainstorm a large list of all the words and phrases related to your business (even ask your clients), then use keyword generator tools to narrow down this list. You also need to look at the competition for keywords and choose more specific words. Keyword research is essential for successful SEO. The hardest thing about optimizing your website is creating content that is balanced between the needs of search engines and the needs of your target market. If it’s too SEO-focused, it will be gibberish for users but if you don’t use enough keywords you won’t rank well on search engines. The main thing is to only use keywords in your copy when they make sense and not to overuse them (the recommended is about 3 of the same keywords per page). Try to use variations of your main keywords through the text, because search engines will pick up on those too. Overall, the best thing you can do is research your content thoroughly, tailor it to the needs of your business and write it well – the search engines can tell if your copy is good, and they’ll reward you for it. Many people are under the misconception that you only need to list your key words on your home page – although that is important, it is just as important to use them throughout the site and adjust your keywords to the content of each page. Keywords are important to be considered for your page title, meta keywords, descriptions, headings, and content. Take advice before having a flash site or one with lots of images and not much content. This can work against you as the search engines don’t register words that appear in images. This is also important to consider for when you use flash in navigation, as keywords importance is also measured here. For our clients, to make it easier for Google to log your site and content, your site is automatically mapped in text and in XML – so every time you make a change to your navigation or add a page, it is automatically adjusted. The algorithm that Google uses to analyze and rank websites is not guaranteed – Google can choose to change it whenever they want. Websites that don’t keep up-to-date with the changes will slide down the rankings and get overtaken by sites that follow the new algorithm. It’s very important that your website developer or SEO consultant stays up-to-date with the algorithm so they can advise you or make any changes quickly and keep your site ranking high. If you are serious about your SEO and want to focus on it as a strategy for getting customers, you will need to employ a professional to help you, not only to keep up-to-date, but also to do keyword research, update your content and get other websites to link to yours.